Visit the stalactite caves in Borgio Verezzi during your holiday in Liguria, Italy. 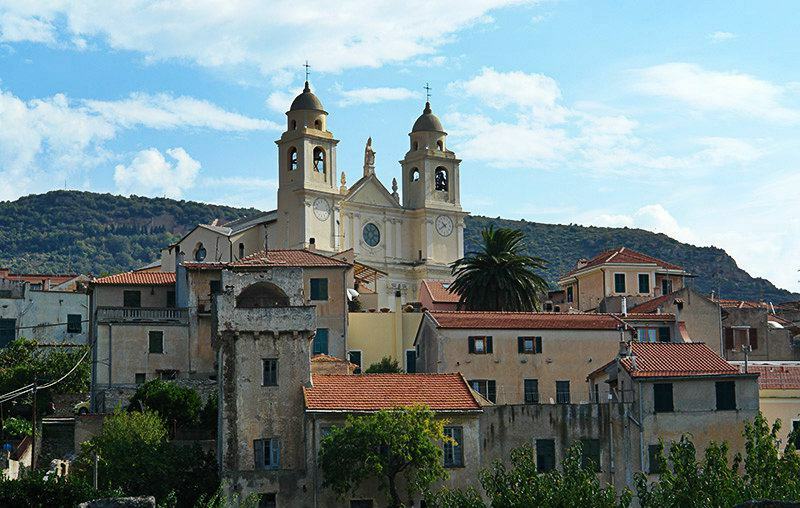 If one goes up the small village of Verezzi, one will be rewarded with the magnificent panorama of the area together with its four Saracenic villages: Poggio, Piazza, Roccaro and Crosa. 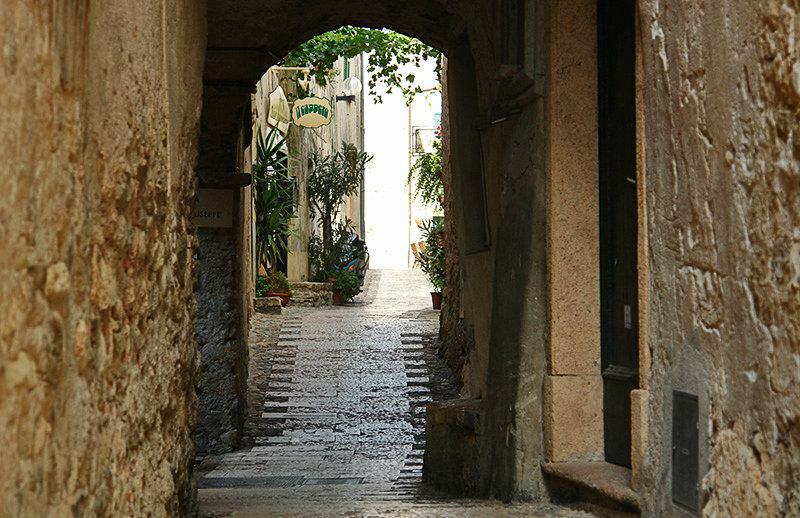 These villages are custodians of the ancient landscape and architectural features of the tiny villages in the Ligurian Riviera. If you move eastwards of the inhabited area, you will come across the cave of Valdemino, whose particularly interesting stalactite and stalagmite concretions give it a fantastic atmosphere. 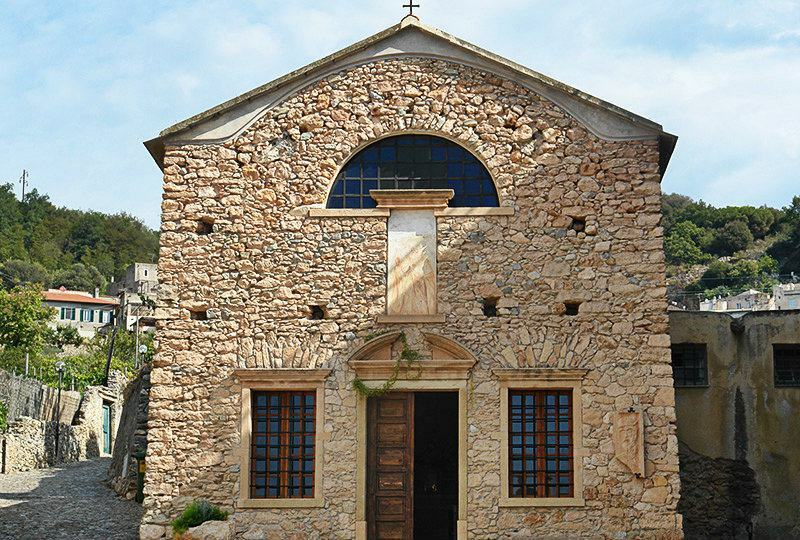 Visitors in Borgio Verezzi should absolutely also visit the church of Madonna del Buon Consiglio. This church has three aisles and is built in the Romanesque-Gothic style with a Gothic clock tower. The latter has two double lancet orders and a polygonal pyramid tip. The arcade is from the 17th century, and the main altar dates back to the year 1721. The church was made into the Oratorio of Santo Stefano, the headquarters of the Brotherhood of the same name in 1808. Thanks to the intervention by Pope Johannes XXIII, the church then became the Pilgrimage Church of Madonna del Buon Consiglio in 1960. The canvas painting of Saints Biagio, Apollonia and Lucia, which is attributed to Giovanni Carlone, is kept in an inner room within the church. 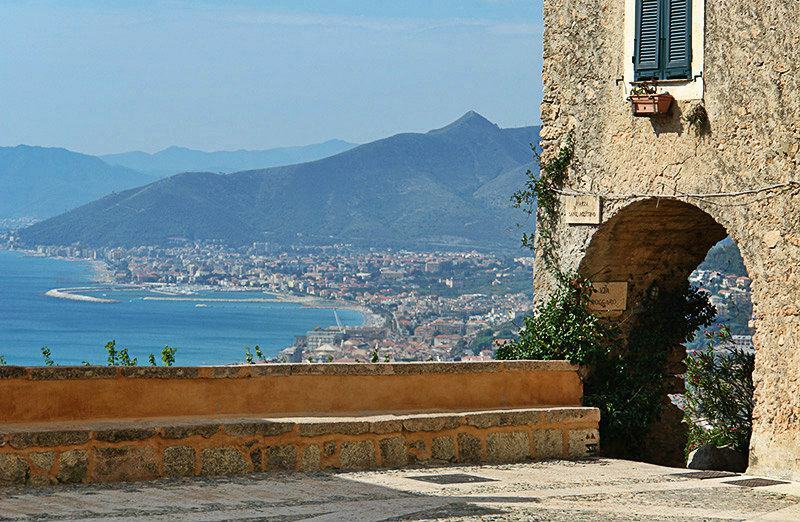 Some special events held in the town include the Feast of Madonna del Buon Consiglio on 25th April, and the theatre festival held on the fascinating Piazza Sant'Agostino with a terrace that offers one of the most beautiful panoramas over the sea in the Riviera. This theatre festival has been taking place for decades now. The caves form a complex system of halls and passages, which stretch for kilometers underneath the village of Borgio. The tour which was instituted in 1970, runs through almost 800 m in the interior of the large halls which are remarkably rich in concretions of every form, a fact that can be attributed to the small quantities of minerals contained in the limestone of the rocks there. Hanging from the roof of the cave are the „spaghetti“, thread-like stalactites which vibrate; you will meet shapes which appear to have been created by a visionary sculptor, for example the camel, the bust of Pope Johannes, the lantern and the samurai. The still and glass-clear waters of the inner lakes are a big attraction. The entrance to the caves is 36 m above sea-level, and the temperature in the interior is constantly about 16 ° C with humidity of 90 %. With guidance from speoplogy teachers one can visit another part of the kilometers-long labyrinth. You can find more information about the caves here. These days the town is full of small restaurants and shops, and woos its visitors with wonderful hiking and cycling paths which lead from one tourist attraction to another, both in the natural environment and through the town. 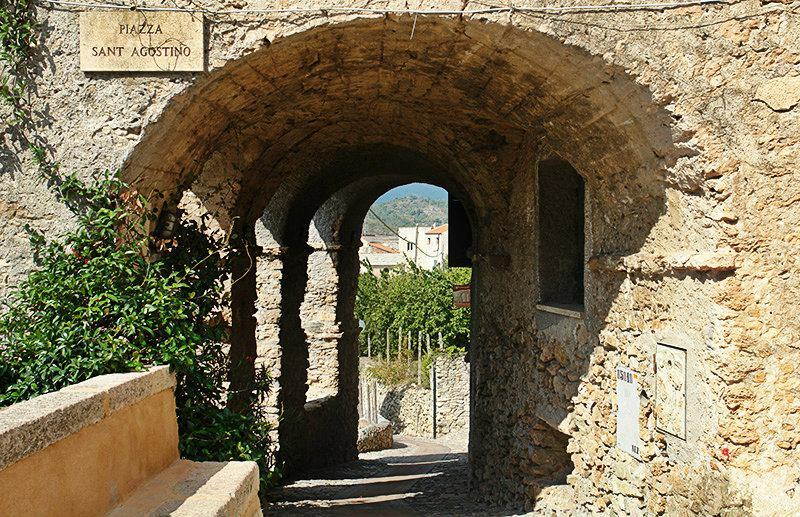 Borgio Verezzi is an ancient village of 2298 inhabitants and is only a couple of steps away from the sea. It owes its name to the two centres which form it: Borgio which lies along the coast and Verezzi which is located higher up. The first written records about the history of Borgio date back to the year 181 BC, and they tell of a single fight which took place in the open fields between the Ingauni and Roman armies, which was fought on the plains between Borgio and Pietra Ligure. In 1885 the road between Borgio and Verezzi was inaugurated, and the two towns were then merged to become one municipality in 1933. 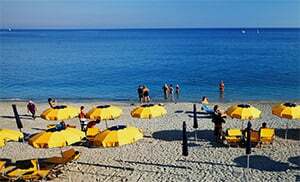 Borgio Verezzi is one of the villages in the province of Savona which lies in the Liguria region. There are several other small villages near Borgio Verezzi, for example: Finale Ligure (3.3 km), Pietra Ligure (2.8 km) and Verezzi (1.6 km). 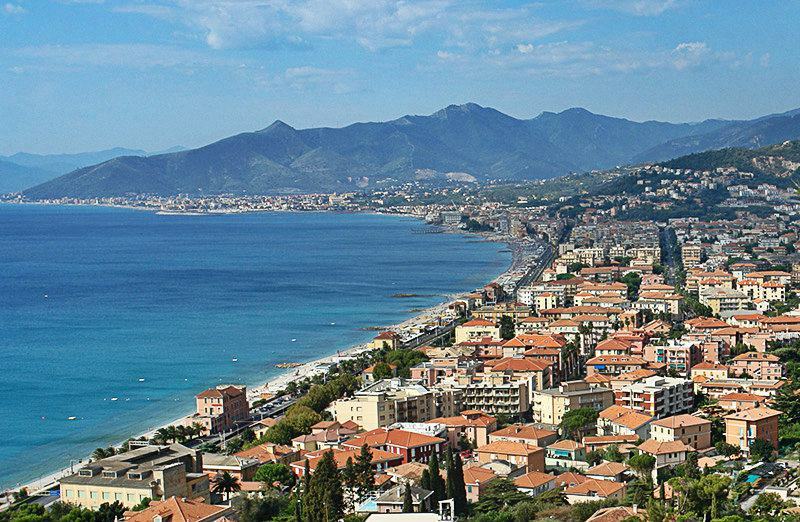 Take the E80 highway exit to Pietra Ligure and follow the the SS1 towards Genoa up to Borgio Verezzi.